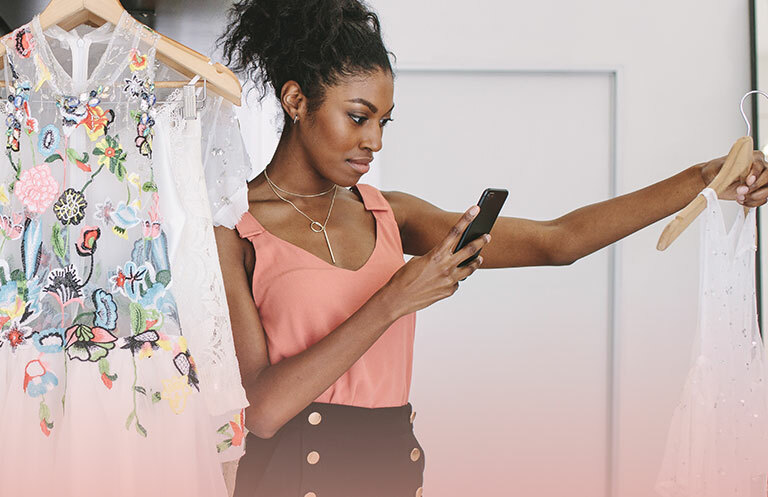 The top 500 retailers raked in close to $6.5 billion from social shopping in 2017, offering a strong indicator that the way sales are made has changed significantly over the past decade. And since the majority of businesses now use social media to sell (at least 88% in the US), the social selling landscape is a highly competitive one. One of the best ways to boost your brand awareness and improve results is altogether very human: leveraging your employees will get you everywhere. Foster excitement and motivation among your associates to become social influencers. While it’s true that some may be hesitant to blur their public and private social media personas, help them understand how a social selling program might build their professional identities and increase their visibility as leaders. As Nikki Baird of Forbes points out, “because consumers may be acting directly on something generated by a store employee, it’s much easier to track the direct influence that store employee has on generating sales.” Trigger motivation even further by ensuring associates are rewarded with commission for any item purchased through a clickable social post. Your associates will have relatively small yet highly engaged audiences, and this kind of exposure can have a significant impact on brand awareness, reach, traffic, and engagement. To avoid inappropriate posts, simply create clear sharing guidelines. Your associates are likely too busy to spend precious time filtering through extensive email distribution lists. The launch of Salesfloor’s new Socialshop allows associates to link photos or assets with direct product links, enabling customers to click on them and make direct purchases. And any purchase made through a SocialShop feed are attributed back to the associate–an added incentive for them to promote on social media. Of course, on the baseline human front, it’s also important to make sure your associates are all on the same page by educating your entire team on best social media selling and customer engagement practices. A strong and unified team will only serve to make those perfectly suited tools even more powerful. In the age of insta-sharing, great content is often challenging to come by. But the absolute ease and speed with which promotional posts can go out should not allow you to sacrifice the quality of your content, since everything released into the world by your business speaks volumes about your brand, and will never go unnoticed. Since your team is likely very busy on a constant basis, perhaps your marketing team can assist your social selling efforts by prepping an ongoing stream of credible, quality articles, topics, and relevant/timely announcements that your associates can then draw from and utilize as needed. Remember not to focus your social selling strategy too heavily on your company’s selling points, however, as this can work against you. Both your associates and your customers are modern, highly discerning buyers after all. 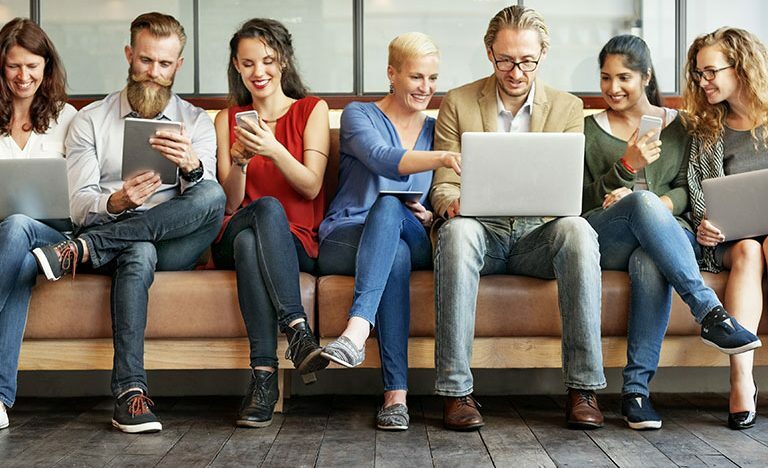 In addition to emails, texts, and other online marketing tactics, developing and harnessing ads featuring personalized content via social media channels can go a long way toward upping customer engagement. Additionally, direct messaging on social is usually very underexploited by retailers. Yet DMs—on Facebook, for instance—are invaluably convenient for sharing info about upcoming events or doling out discount codes to new or loyal customers. Fans of your brand and customers-to-be will feel more appreciated with individual attention, and this can additionally help your associates glean more useful customer data. Think of it as a bonus clienteling strategy. Your associates can now keep track of what a customer did, or what they preferred, so you can personalize the forms buyers engage with moving forward, significantly finessing your overall sales process. Bottom line: social selling is a long-term game, so above all, be patient and stay the course. As long as you commit to your efforts, and adjust as needed, you’re sure to see tangible results. Bonus tip: avoid micromanaging your associates’ daily sharing. By allowing associates the space they need to build the trust of their (your) followers, you give your social selling strategy new life.